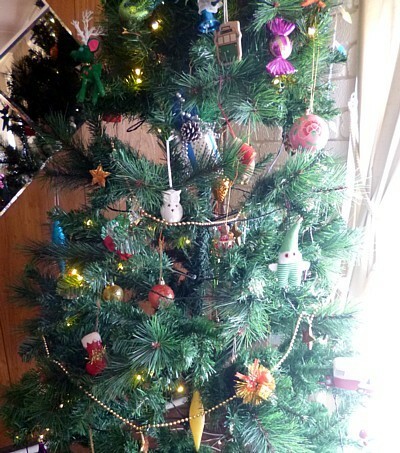 I thought I'd show some photos of our Christmas tree. As I've mentioned before, I don't really do Christmas, but there are just some things from my childhood that I can't let go of. The tree is one of them. 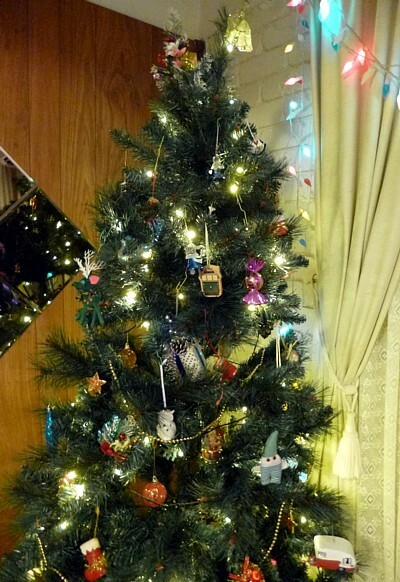 Husband and I bought this tree last year; previously we had a very small one. The lights are already attached so it's very easy to set up. The photos are pretty bad, sorry in advance for that. As it turns out, it's just as difficult to get a good photo during the day as it is at night. I decided a few years ago that I would buy a few decorations each year. 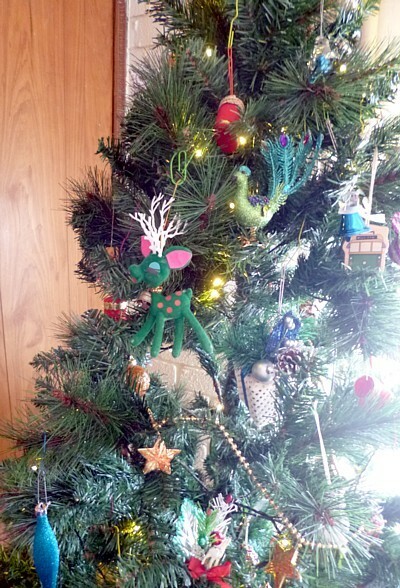 I bought the green flocked reindeer from Etsy, and the green sparkly bird from our local Coles supermarket, of all places. My taste in Christmas decorations is eclectic and has a definite lean towards the kitschy, while (hopefully) staying just this side of creepy. 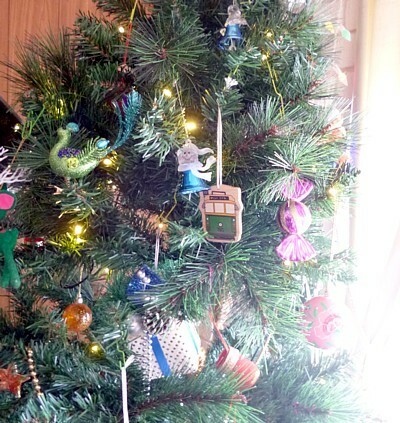 There's the tram from my set of 5 wooden Melbourne-themed decorations. 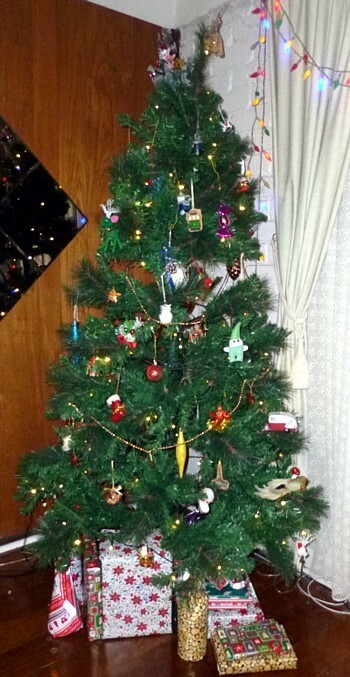 The only thing I'm having trouble finding is a suitable topper for the tree. As a kid, my family had an angel. I usually only see stars these days. Neither of them quite seems right to me. Perhaps I'll make one for next year.